Dieter Delarue is the co-founder and managing partner of Van Innis & Delarue. Mr Delarue is a seasoned IP litigator with a particular affinity for clients in the worlds of fashion, design and luxury, media and entertainment, and life sciences. Mr Delarue’s transactional expertise includes drafting and negotiating a wide range of licensing, coexistence and other strategic agreements, and assisting corporates and investors with IP due diligence. 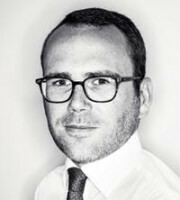 Mr Delarue is often called on by newspapers, radio stations and the media to comment on IP-related news items. Chambers & Partners, the WTR 1000, the Legal 500, IP Stars and the clients they quote have described Mr Delarue as “one of the best lawyers I’ve met”, a “technically strong advocate” who is “pragmatic and service-oriented” and “always two steps ahead of the other side”, and who provides “practical, workable, concise and to-the-point advice, while being very pleasant to work with”. The same sources praise “the rigour and precision of his work” and “his proactive way of handling possible problems and turning them into solutions”. Mr Delarue went to law school in Belgium (Ghent University) and received an LLM in IP law from George Washington University, Washington DC.